A wide range of high quality digital print giving you the benefit of fast turnaround and cost effective quantities. 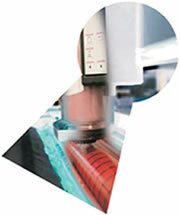 These are complemented by a full range of finishing services: Creasing, Stitching, Folding, Laminating etc. Posters from A3 to Large Format A0. B&W and Colour copying up to A3.